Rocki lived to be Sixteen Years Old. She may have been Even Older. We celebrated Her Birthday on The Same Day as Mine, because My Parents never knew Her Real Age. Rocki came into My Family because My Parents had put The Word Out that they wanted to get A German Shorthaired Pointer. And then, My Grandparents In New Jersey found A German Shorthaired Pointer wandering The Streets Of Passaic. And so, My Parents Adopted Rocki. 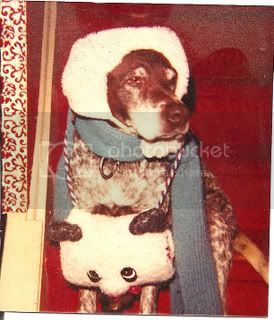 Rocki wasn’t just Any Ordinary Dog. She had A Very Obvious Case Of Scoliosis. She had Cancer numerous times, but My Parents always opted for Surgery. Once, after The Vet took X-rays for One Of Her Surgeries, he told My Dad that None Of Her Vertebrae where Connected. “Technically, The Dog shouldn’t be Alive!” he reported. Rocki liked to Play In The Backyard and Sniff For Birds. Sometimes she let Me And Easily Annoyed Sister dress her up in All Of Our Winter Clothes. And Rocki would just Sit There, Patiently. When I was Sad, Rocki would always come into my room and Sniff Me and Lick My Face and Lay Down Next To Me, with Her Head Touching Me. She was A Good Dog. Rocki lived to be Sixteen Years Old, which is Really Old for A Dog. She was doing Great until My Dad unexpectedly went into The Hospital and eventually Died. Once My Dad was no longer At Home, Rocki seemed to Give Up. She Slept All Day and Barely Ate. One Night, I was Feeling Blue. My Dad was in The Hospital and Very Ill, after all. That Evening, I had A Dream that Rocki came to My Bedside and sang, That’s What Friends Are For, which was A Hit Record At The Time. She Howled it, since she Couldn’t Really Talk. But, she had The Melody. The Next Morning, Rocki Died. Rocki has been Dead for Over Twenty Years now. But, still, when I hear The Song, That’s What Friends Are For, I think of Rocki, Singing it To Me, At The Side Of My Bed. They played it on American Idol tonight, in fact, because Their Special Guest was Carole Bayer Sager, The Writer Of The Song. It is Such A Corny Song, I know. And, it was So Long Ago. But, I still Miss My First Dog. I went to Hollywood, Rocki! As a kid I was deprived from pets! My mom said they were dirty. Anyway, I once had a pet fish that died. I sent him to hollywood! YEAH FELLOW PISCES FEB 28!!! Sweet. My dog would howl along to my attempts at playing harmonica, but no Dionne Warwick songs came out of it. When it comes to canine crooning, Rocki isn't #2 -- she's #1! That was Carole Bayer Sager? I thought it was Joan Collins. 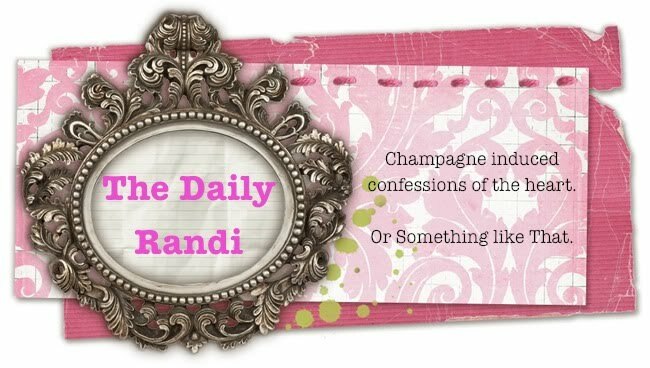 Aww, that was an incredibly sweet post, Randi. Dogs are just the best. wow, i associate that song with something completely different. i miss rocki too. and i love that picture of her, even though she's all grey. i loved that panda thing. it used to keep my hands so warm. i could really use that (or maybe a hat) here in nyc. i miss yente too. :-) i'm so happy now to have frenchy! :-) we took her to a dog park today but she doesn't seem very interested in playing with other doggies. she just runs back to mama and papa.